The Rick and Morty VR game, Rick and Morty: Virtual Rick-ality got an Emmy award nomination. It’s up for honors in Outstanding Creative Achievement in Interactive Media Within a Scripted Program. Adult Swim, whose games division publishes this title, touted the award yesterday in a news release yesterday. 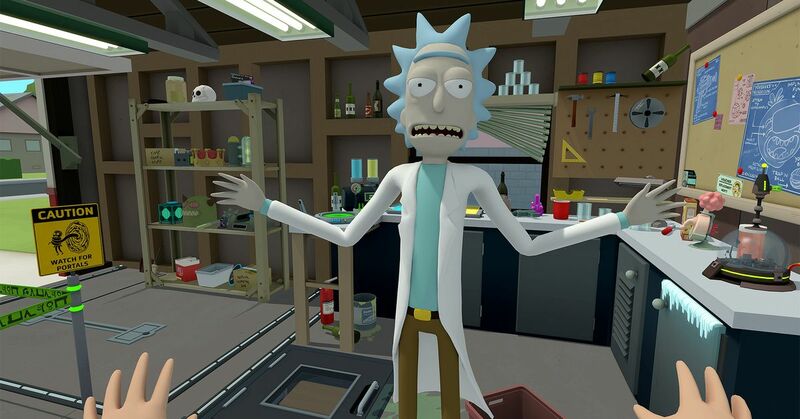 Virtual Rick-ality is developed by Owlchemy Labs, the same team behind Job Simulator, also an acclaimed VR title for the HTC Vive. Virtual Rick-ality launched on April 10 for PlayStation VR and on April 20 (naturally) for the Vive and Oculus Rift. We dug the game when we saw it previewed on its PC launch day. While it draws heavily on what made Job Simulator so popular, there is a story behind Virtual Rick-ality that unfolds over multiple adventures. The Primetime Emmy Awards have, since 2002, had a variety of interactive media categories. These were renamed and reclassified in 2017. Rick and Morty: Virtual Rick-ality is up against four other nominees; one is Westworld: Chaos Takes Control Interactive Experience an online experience promoting the show’s second season.